Therefore now you want to invest more in yourself. For example you have a dream a dream that we also had to be able to live from your trade, and to live well! But with your will, patience and trust we can make you a successful trader with our Forex course Trading is mainly about reading, observing, analyzing and striking. Firstly an important reason for the loss of approximately 90% of traders is that they are too lazy to do the work that is necessary to be successful. Likewise a trading plan is so important to get and be consistent. 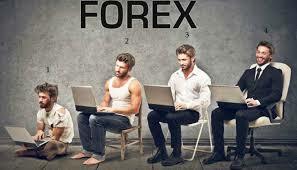 successful with the Forex course.